Does your business store credit card information? If so, you probably know how dicey that can be. Luckily, there are ways to store that information safely. You’ve just got to know how to do it. By protecting credit card information, you’re not only protecting your customers. You’re protecting yourself as well. Keep your customers happy and your business successful by preventing security breaches. Hackers are smart, though, so how do you stop them? Keep reading for ten tips for storing credit card information securely. Credit card information can be stolen if the device you use to scan a card doesn’t have proper security. So how do you know what card reading devices are safe? The Payment Card Industry (PCI) Standards Council ensures that payment devices are up to par. Any equipment that isn’t approved by them may have a security hole. Do your best to eliminate safety issues through your payment device by ensuring you have one that’s approved. This will protect both your company and your customers. Every person you employee needs to have security in mind. If employees are lax when it comes to security procedures, you run the risk of something going wrong. Frequently train employees on safety standards and methods. Make sure they’re using equipment properly. Keep them aware of frauds and how they may be carried out. The more people you have fighting against a security breach, the more likely you are to prevent one. Storing credit card information can be dangerous for customers and companies alike. If you can successfully carry out your business operations without saving credit card information, do it. Consider what situations warrant keeping information, and get rid of it every other time. If you store credit card information and suffer a security breach, your customers won’t be happy. Using a form of encryption will help protect any credit card information you store. Cards have encryption devices built in, such as the magnetic strip. But you can add even more protection. If you haven’t already, upgrade your card readers to EMV devices. These allow card users to utilize their credit card’s chip instead of its strip. The use of a PIN number combined with a chip will add more security to card transactions. This may go without saying, but your business must use a card reading system that’s secure. If your company is simply keeping track of card numbers by writing them down, you’ve got to find a more technologically advanced system. Never store credit card information in an easy-to-access format or location. Doing so leaves customers vulnerable to employees, other customers, and data thieves. Research your security options. If you haven’t upgraded to a digital system for processing card payments, you probably shouldn’t be accepting cards. Tokenization replaces actual credit card numbers with a different set of numbers. This amps up security because you won’t have to store the actual credit card data. Tokenization is great for protecting card data that’s saved for online. They also help protect customers and companies using recurring transactions, such as subscriptions or monthly payments. 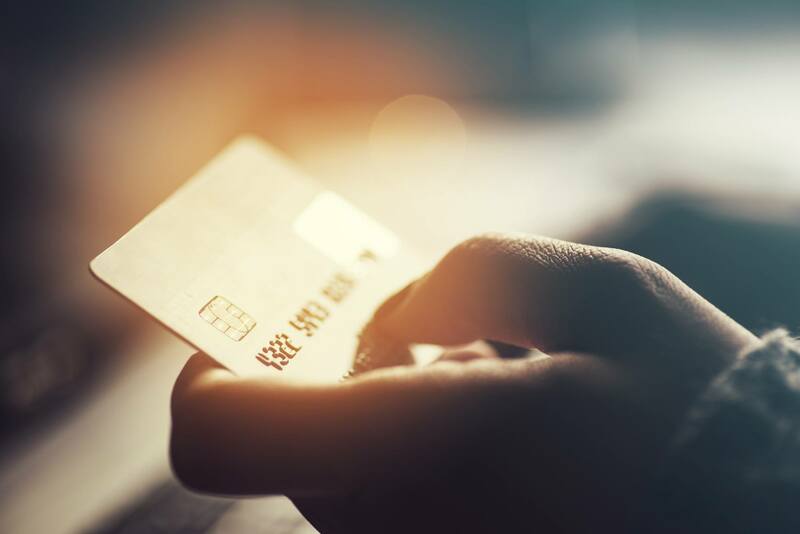 While some older methods of storing credit card information–like writing it down–simply aren’t safe, traditional storage is. Instead of storing credit card information in an online system that could potentially be hacked, use an external device. External hard drives can hold tons of information, and that information can’t be accessed from online. Having a hard storage location is a great way to limit hackers’ attempts to get information. Hard drives can crash, though, so make sure information is backed up somewhere else that’s also secured. Storage options and security update fairly often, so pay attention to what’s going on in the digital world. New technologies often change things, like the Cloud or chip devices. It’s your responsibility to stay at the cutting edge when it comes to data security. Don’t compromise your customers’ information and your business’ reputation by getting left in the dust. Frequently check to see if there’s a better way than your current system to keep information secure. Connecting to the World Wide Web isn’t the best idea when working with sensitive data. If possible, use a private network instead. If you provide free WiFi to your customers, it may be tempting to use the same internet for processing cards. Don’t do it! Public, non-secured internet is definitely not the way to go if you’re trying to protect stored data. Do you accept credit card payments over the phone? If so, you need a way to protect that data just as if the customer had swiped their card. If phone calls are recorded, you now have an easy to understand record of the customer’s name, card number, and security code. That’s a dangerous combination and a perfect target for fraudsters. Luckily, encryption isn’t just for physical use of credit cards. Make sure all recorded phone calls containing card information are encrypted. For added security, store these recordings together in a password-protected directory. If you want your company to be successful, you’ve got to store credit card information safely. If you don’t, your company will be brought down fast. Luckily, storing credit card information securely isn’t hard. Keep these tips handy and refer to them often, and always stay up to date with technology. If you have lax security, your customers will find out quickly. Keep your customers’ information safe, and they’ll keep coming back. Have you been wondering what credit card processing device to use? Check out our article on the best ways for merchants to accept credit card payments.